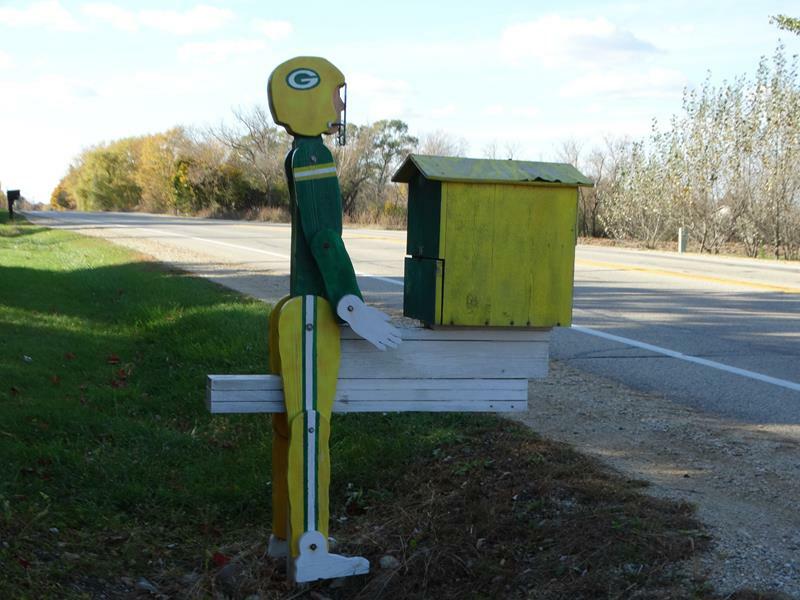 We’re a sucker for Packers mailboxes. We found this one along Highway 142 just east of Burlington. Thanksgiving is upon us, with Bart Starr and Brett Favre returning to Lambeau for the game against da Bearsss – there’s a TON going on! It’s always a good time to road trip around Wisconsin and plenty of fun events are happening. Have a safe and happy holiday, and Pick Some Roads and GO!! Check out some of our new route postings, like Highway 142 with the Bong Recreation Area and the Mars Cheese Castle, or Highway 107 with its beautiful drive over the hills of Marathon County and along the Wisconsin River. There’s plenty more to come, keep checking back and follow us on Facebook or Twitter!